There is a lot of talk about “big data” for a reason: it leads to profits. The relationship between customer relationship management (CRM) solutions and big data is growing stronger as companies realize the power of big data. 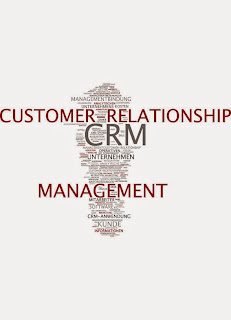 A CRM solution has traditionally been used to manage your company’s relationship with your current customers and improve the relationship with prospective customers. Synchronizing sales, marketing, and customer service, the CRM solution has automated features that make doing business easier. Unfortunately, companies, including some of the largest in the world, are failing to utilize their CRM to get the most out of big data. In fact, Gartner has predicted that through 2015, up to 85 percent of Fortune 500 companies won’t use big data to improve their standing. Executives say the failure is due to sheer size and variety of the accumulated data. In some cases, the problem is incorrect, duplicated or dark data. It is simply too difficult to wade through all of it and effectively organize it. This has an obvious effect on how a company does business, but it has a greater impact on how the customer is served. Companies that get it right are using their CRM as a repository for storing records in a way that makes sense, which means it can be queried later and used to make fact-based decisions. A CRM solution can also be used to help track orders and schedule follow-ups. This leads to better customer service, customer loyalty and customer satisfaction. Apparently, there are more companies getting it wrong than getting it right. According to a survey by the American Customer Satisfaction Index, satisfaction levels across all major industries has fallen in the third quarter of this year by more than any time in the two decades the index has been around. This is not due to CRM failing users; it’s more about companies not utilizing their CRM for anything more than a digital rolodex. Other companies are failing because they aren’t gathering data from the right people. For instance, sales reps interact with customers on a daily basis. But we know from experience that sales reps are among the worst at filing reports. All the information they have on their clients is kept between the two of them instead of coming into the CRM system where everyone in the company can see it. One way to get your sales reps sending you sales reports is to equip them with a mobile app that makes the reporting process quick and easy. That’s the only real hurdle – time and effort. Most CRM solutions aren’t sales-friendly because the reporting tools are too complex. When the sales reps report their interactions, sales managers will have insight into how they work, what they do right and what they could use some improvement on. Front Row Solutions has created an app that gets sales reps in the reporting game. When a report only takes a minute to send, all of your reps will start a regular reporting cycle that will make your big data mining a success story. Contact us today for more information. Customer relationship management solutions are evolving. The evolution includes such tools as social media integration, live-chat and cloud-based software that takes the pain out of implementation. One of the more exciting changes in customer relationship management solutions has been the advent of mobile products. Given the technological advancements today, you would think that customers would be happy with their contact center experiences, but the opposite is true; according to Dimension Data’s report regarding trends in customer relationship management, customers have grown dissatisfied, especially the Millennials. What you have to remember about Millennials is they have never known a world without the Internet and they expect to be able to interact with others via multiple channels, whether it’s through a web chat, an application on their smartphone or one of the many social media outlets. Millennials are perfect reminders of why customer care is important and why organizations need to try harder to identify the channels through which people interact. It’s not just the newest generation of consumers that are important because people of all ages have gravitated toward the Internet, smartphones and tablet computers that keep them in tune with their virtual worlds all the time. When it comes to your CRM, it’s important to think about how you can use it to improve customer care. Obvious some would say, but you’d be surprised how many organizations are not thinking about the mobile component of CRM. More people access the Internet on their mobile devices more than any other way, which means CRM apps need to step up, especially for mobile workers like sales reps. While the sales department, the sales reps in particular, have for years felt left out of the CRM customization process, more companies are putting together sales apps that integrate with the existing CRM systems. The existing systems have traditionally included robust sales reporting tools that were actually too complex for the typical sales rep to use. Switching CRM providers is not an option for most companies, mostly because of the cost and the time it takes to fully implement a new system and get everybody trained on it. Rather than throw away a perfectly good CRM system, organizations are looking for third parties to build solutions that can be plugged in for the mobile sales force. To really know what is needed in a mobile sales app, vendors need to question the people in the field who know exactly what they don’t like about current CRM reporting tools. One company, Front Row Solutions, has done exactly that. Front Row Solutions has created a sales reporting tool that offers users real-time information and a fast and easy to use reporting system. Our solution makes people accountable and the salesforce more productive. Another reason our mobile sales app has been such a hit with our clients is because they see a return on their investment in days or weeks. Contact us today and get connected. A CRM Solution That Shows a Return on Investment. In 2004, an estimated 50 percent of the work forces equipped with customer relationship management solutions (CRM) were actually using it. Times have changed; more than 80 percent of CRM-equipped workers are now using the tools in their CRM. 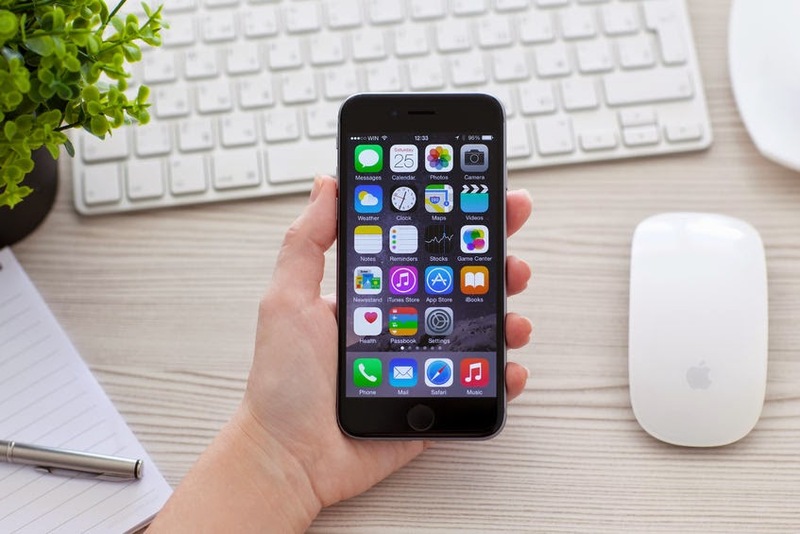 Part of the drive to more usable CRM products is the rise of mobile devices in the workplace. The salesforce was among the first to use mobile phones to increase their productivity. Unfortunately, CRM vendors weren’t quick to offer a mobile CRM solution for the most mobile portion of the enterprise. 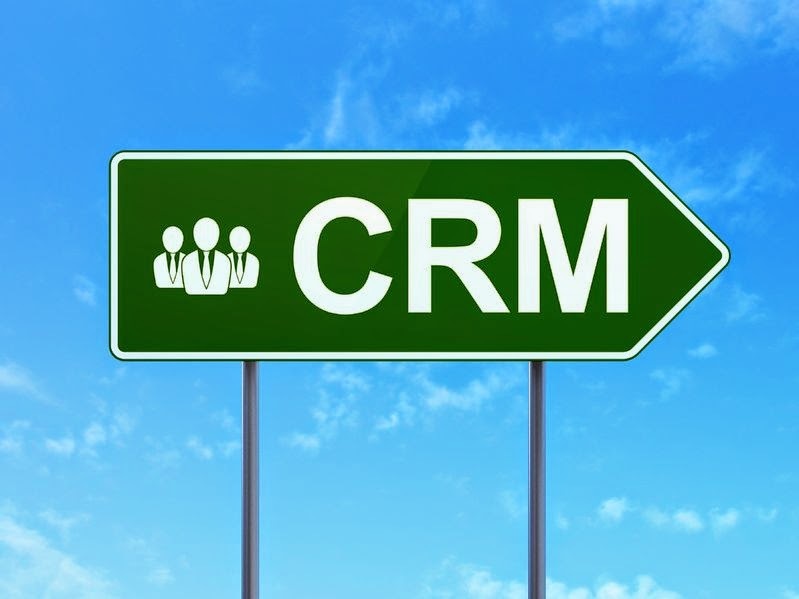 Today, organizations are looking at CRM to help them improve the productivity in nearly every aspect of the business. They want to see a more efficient workflow that helps them penetrate deeper into their target market. For too many years, the salesforce has been neglected when it comes to offering them effective CRM tools that can help achieve the goals above. Fortunately, more vendors are starting to see that their CRM solution development should include tools for the salesforce. Before you can establish that you’ll see a good return on your investment in mobile applications, you need to be able to answer questions regarding who your target audience is, how you reach out to them and what tools you use to make connections. Furthermore, how many resources are you using to make these connections? In the case of most sales reps, they’re not using reporting tools in the company’s CRM system because it’s not mobile, it’s complex and too time consuming. The salesforce is a valuable source of information because they have the best access to clients. Much of the information they learn in their interactions is not conveyed to other departments that could use the information to make better connections in future offerings. However, if the sales rep has a CRM solution that allows them to make quick and easy reports back to the office, there will be plenty of data for marketing and other departments to use in creating better campaigns that expand the target market and better connect with them. The other side effect of bringing in an effective mobile CRM solution to the sales rep is that sales managers will have information they can use for their coaching sessions. Without this information, managers have no idea how to get their reps to work toward more efficient work processes. We know what sales reps need because Front Row Solution was built by former sales reps. As a leader in the mobile CRM solution space, we are providing the app that sales professionals need to not only improve their production, but also the bottom line of entire organizations. There can be no denying the pervasiveness of mobile technology. In fact, 2014 will be the year that the use of the Internet through mobile technology overtakes fixed Internet usage for the first time, according to a report from Morgan Stanley. How ready is the customer relationship management (CRM) industry to offer mobile CRM solutions? CRM solutions have traditionally been tied to desktops, and for good reason; most solutions are complex and take up a good amount of space on the server. However, to be of the best use to workers who are increasingly using their mobile devices in the workplace, CRM vendors are working to make their mark in the mobile space. According to Gartner, Inc., an IT research and advisory company, smartphones and tablet computers have been adopted by 30 percent of sales organizations and are being used over fixed devices more often than not. Sales reps are no longer lugging around their laptops, even though those too have become lighter and increasingly smaller. Instead, they want something that slips easily into a purse, briefcase or pocket. The reason more sales department are moving to mobile CRM apps for their mobile devices is because sales reps today expect that type of technology to be available to them. The best sales reps will not go to an organization that is behind the times. Therefore, it’s important to get on board with mobile technologies that improve the performance of reps whose commissions can be impacted by having access to highly functional mobile CRM solutions. Before hastily adopting mobile CRM solutions, the forward-thinking organizations looked for areas where they could utilize mobile CRM to their advantage. The solutions should be thought of as a tool that can assist in producing a more automated system that improves efficiencies, both in data gathered and the speed and accuracy at which sales reps can complete their daily tasks. An iOS sales app should include an interface that makes it easy for sales reps to work with. Not every organization clamored to adopt the latest CRM solutions built for mobility. First off, most CRM solutions are not built to work with sales reps. Sales managers might be more familiar with CRM tools, but sales reps traditionally don’t gravitate toward complex tech tools that take their focus off their main objectives – communicating with clients and making sales. An iOS sales app has to be user friendly if a sales department is going to have any success in adopting it. For instance, after a sales rep makes their call or has their meeting, they need to send back information about that event so the rest of the organization has access to the data gathered. It’s not uncommon for reps to skip this part of the process because most processes are too time consuming. However, with an easy to use iOS sales app, they can send back the appropriate information in a minute or less. Front Row Solutions, a company that specializes in iOS sales app development, is made up of former sales reps that know what is needed in the field. We’ve developed an iOS sales app that will ensure the information gathered in a sales call is quickly reported back to the appropriate parties. Contact us today and find out how we can improve the productivity of your mobile salesforce. 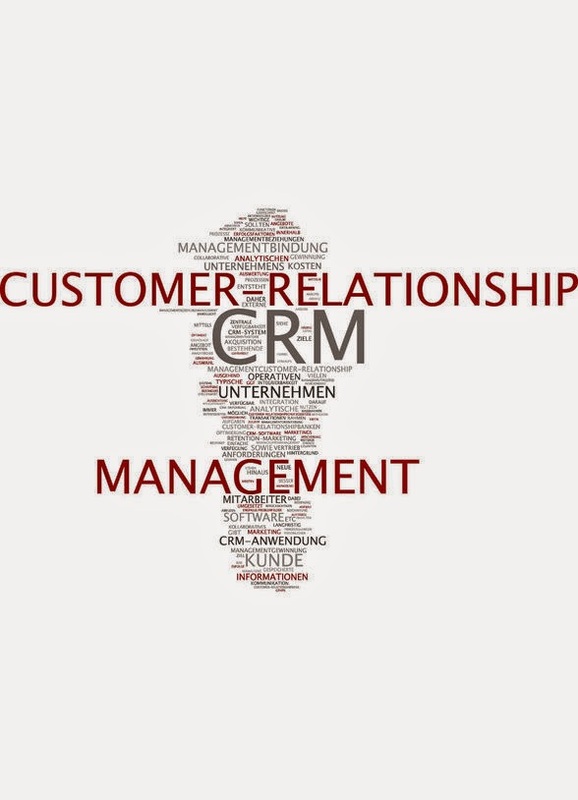 Cloud customer relationship management (CRM) is becoming a popular choice among many sales organizations. Experts predict that the tipping point is on the horizon, with up to 85 percent of CRM users employing a cloud CRM instead of an on-premise software system. Your organization does not have time to spend two weeks implementing a new CRM system. Cloud CRM can be installed and used with a few short hours of training. In fact, with cloud CRM you should be able to realize a quick return on investment and draw a direct line between your CRM and growth in sales. With high investments in security against hackers and viruses, cloud CRM companies are vigilant about protecting your data. Likewise, your IT department won’t be dealing with the bugs that can occur when you try to put in a new in-house software system. With cloud CRM, the problems have been dealt with centrally and the software is ready to go. Updates are similarly seamless with cloud CRM. Your competitors are looking at cloud CRM, too, if they are truly competitors. This technology is being adopted by sales organizations, with 67 percent of enterprises responding in a recent survey indicating that they use at least two mobile apps. Having access to real-time information and giving sales reps the ability to access customer data and history while out in the field allows for a smoother sales process. Cloud CRM allows your sales team to take meaningful action in a timely way when they identify an opportunity. The current cloud CRM applications are made to integrate with your legacy software, or they can be used as a stand-alone system. When you implement cloud CRM with a legacy system, your sales reps will use a mobile app to enter information, which will be used to populate fields in your existing software system. Integrating with an existing system is a great step for a sales organization that has a significant investment in an in-house software solution. The cloud CRM tool will enhance the use of that system and make access to information more convenient, add depth to customer interactions and allow for real-time reporting for your sales managers. To find out more about how introducing cloud CRM can grow your sales and streamline your sales processes, talk with Front Row Solutions. We offer a mobile app CRM tool that can be used as a stand-alone system or used to enhance your in-house CRM software. Sales force automation is an important part of customer relationship management tools. Sales force automation allows your organization to track sales cycles, manage leads and keep all departments up to date on specific customer interactions. When you choose sales force automation software, look for one that can send follow-up letters or emails, update sales opportunities, schedule sales meetings and track contacts. These are time-consuming activities that every sales rep needs to complete. With the right software, however, you can greatly reduce the number of office hours your sales reps require each week. The sales rep will also have information available, such as details about an order that is running late, and can be proactive with contacting the customer and maintaining a positive relationship. When a customer complains your sales reps should not have to make multiple phone calls to customer service reps and operations personnel to repeat the customer’s complaint. With sales force automation software, customer interactions are stored in a centralized location. Your salespeople should be finding more time to be in the field if your sales force automation software is a good fit for your organization. The administrative tasks should be slashed significantly, and time spent poring over sales reports should be replaced by summaries that highlight areas of opportunity. In addition, when a sales rep has customer order history and other details about interactions immediately available during a phone conversation, they can more easily identify opportunities for growing the customer’s purchases. Instead of running various reports or requesting pipeline information from individual sales reps, sales force automation allows your sales manager to have access to summaries of activity, customer complaints that occurred that week and information about potential opportunities. The software is set up to operate in real time, so when your sales manager receives reports or summaries, they know that the data is up-to-date. When sales reps are set up with a few quality metrics that sales managers want to measure, the reports deliver high quality information for training purposes, sales forecasting and budget planning. If your sales organization is looking for tools that deliver sales force automation software, Front Row Solutions has the technology that will grow your business. We offer mobile app customer relationship management software that can work as a stand-alone system or can be integrated with an existing software. Social media is changing the way sales get done. Companies are now using analysis of sites like Twitter and Facebook to determine the types of postings and status updates that might point to a potential sale or other opportunity. Social CRM allows sales and marketing teams to identify which leads may be most easily converted to a sale. A customer that goes from being a visitor to your page to clicking on an informational video is a good potential lead. While this begins to blur the lines between marketing and sales, it ultimately improves the understanding of the quality of a lead. Analyzing the behaviors of social contacts is more efficient than making cold calls. In fact, the activities related to this part of the sales process is called the “engagement channel” which uses strategies that don’t fit neatly into sales or marketing terms. 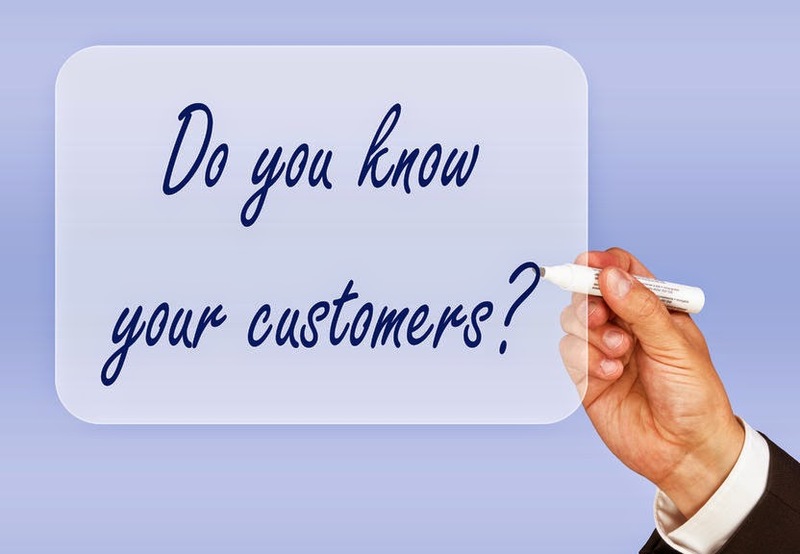 The impact of social CRM can be felt in your customer service department. Your customer call center should experience fewer calls as your customers become comfortable interacting with your sales reps over social media. When they do call in to talk with a customer service rep, social CRM allows the customer service rep to see all of the previous interactions that have occurred between your organization and the customer. No longer will you need to mail flyers or make special phone calls. Through social CRM you can target customers for a particular promotion and then announce it via social media. Your customers have the opportunity to “like” or respond in a comments section, giving you immediate feedback about the quality of your promotion. Announcing a new product is also effective through social CRM. Your customers will be able to hear the news that a new product is available, as well as accessing a link to a video or other informational material telling them the benefits of the new offering. Through social CRM, getting the word out about a new product is much more efficient than contacting customers any other way. 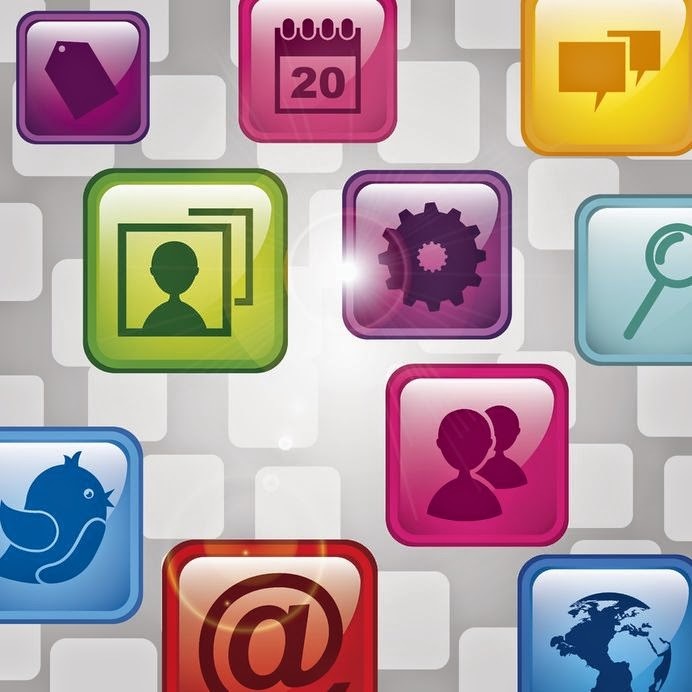 Social CRM allows you to analyze the responses and behaviors related to potential opportunities with existing customers. If they are experiencing a problem related to your product or service, social CRM gives you the ability to address the problem before your contact shops around for another vendor. To get more information about social CRM and find out how it can help you grow your business, contact Front Row Solutions. We specialize in mobile CRM tools that seamlessly interact with social media to provide you with the best data. Sales reps are focused on the sales process, excited for new challenges and enjoying the competition with other companies as well as other reps on their own team. They often love to talk with people and will do anything to avoid sitting down at a desk. However, as a sales manager, you need your sales reps to report in on how their sales are progressing through a customer relationship management, or CRM, software. 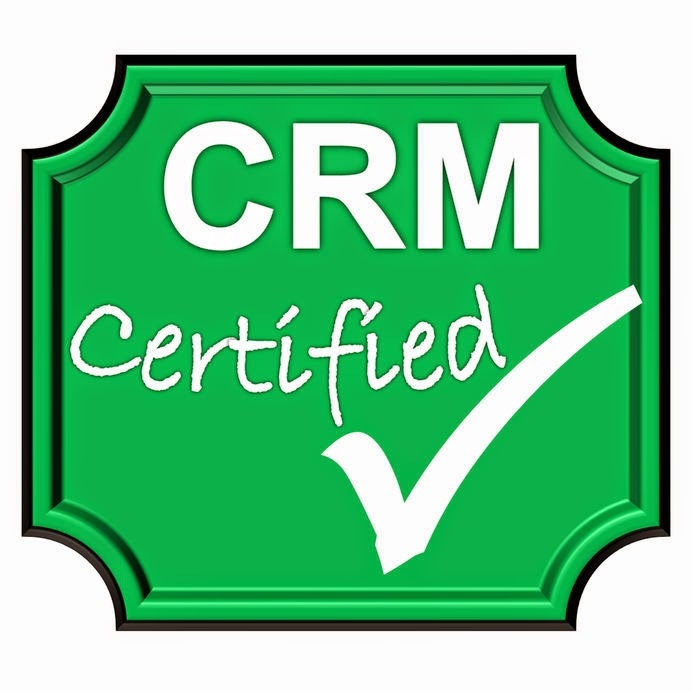 CRM software helps you analyze the sales process, organize training needs and develop a sales forecast for each rep. If they aren’t using the CRM software, your data is useless. Many sales managers treat CRM software as a peripheral part of the sales position without intending to do so. When you bring a new sales rep into the team, make sure that even the most experienced rep receives ample training on your CRM software. Talk about what the information is used to do and measure the progress your new reps make on the system. In sales meetings, make sure that you discuss CRM every time. Don’t save it for a quick mention at the end, but instead talk about it as an integral part of the sales process. Discuss with your reps what you hope to accomplish with the data they provide and explain how those plans will positively impact their sales territory. If you have too many fields set up, sales reps will quickly learn to shortcut the process. Instead, choose just a few fields that are necessary for tracking the behaviors you are examining and require your reps to fill them in every time. This will encourage your sales reps to work with the CRM software, because they know they can make an entry in just a few seconds. If your CRM software is not set up to work with a mobile device, it’s time to talk with your provider. When reps have a mobile CRM solution set up on their phone or tablet, entering data can be quick and easy, something no longer relegated to an office day but done in thirty seconds as they wait for the elevator following an appointment. Tie CRM software use in with other measures of sales success. If your sales reps see that their overall performance is tied to their CRM use, they will begin to prioritize it. 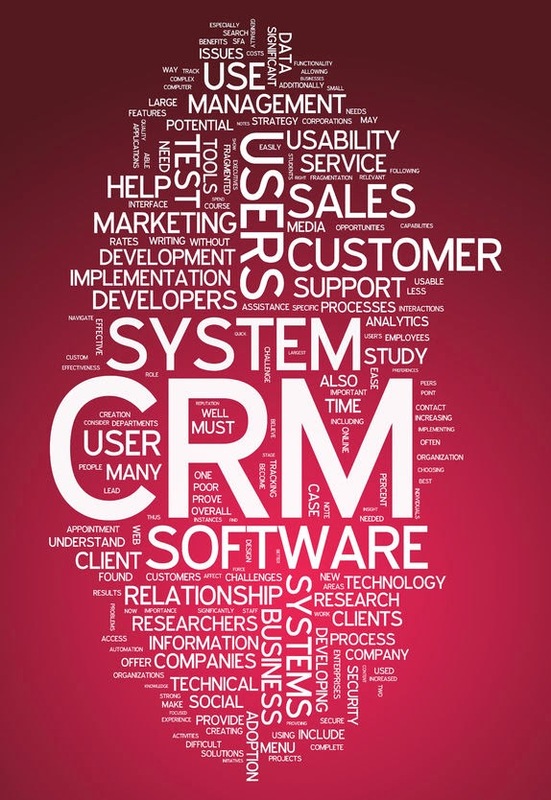 CRM software can be an important part of driving growth in your sales organization. If sales reps are not using it consistently, however, it is never going to be accurate. 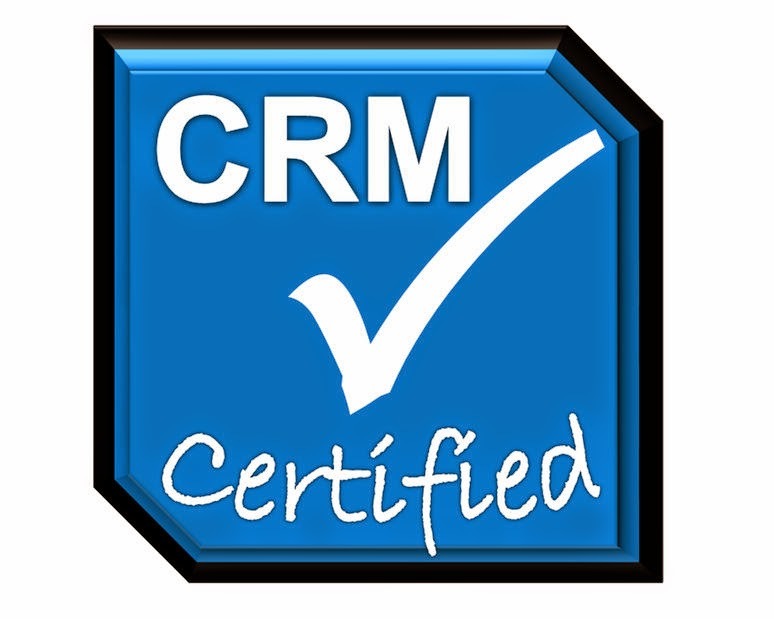 If your organization needs a CRM software with a high level of sales rep compliance, give Front Row Solutions a call. We offer mobile CRM tools that provide an easy way for sales reps to quickly enter information and get on to their next meeting.